After it had been reported that Denver Nuggets star forward Carmelo Anthony wanted out of Denver, the speculation began swirling as to where he would be playing next and when that trade would occur. Talks between Carmelo and the Nuggets regarding a 3-year contract extension stalled, prompting Carmelo to play the “get me out of here” card. 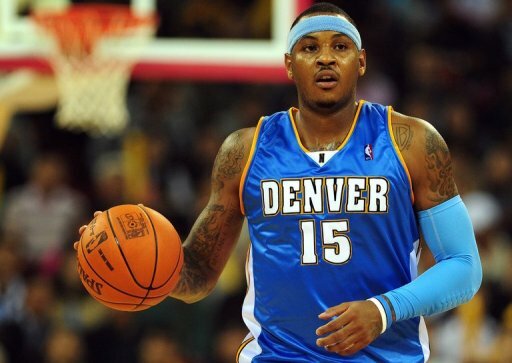 Now, coming up on 2 weeks since the proposed divorce between ‘Melo and the Nuggets was deemed inevitable, sources are reporting that one of the two most likely trade scenarios is for Carmelo to be shipped out to Los Angeles and play for the Clippers. Take the words “most likely” with a big grain of salt because things can change in a matter of seconds, but it just gets you thinking of what a move to the Clippers would mean for L.A.’s squad not named the Lakers.